60 registered members (Cheshire Chris, akc42, Animisha, Bett, 7uturu, Candywoman, Chernobieff Piano, 16 invisible), 1,335 guests, and 6 spiders. Apparently many pianos should be......Liszted. Last edited by BHCGY; 05/29/11 03:55 AM. The Metropolitan Museum of Art displayed a Erard that Liszt owned the last 15 years of his life. You will want to read the Met Press Release and see the Met Picture of Erard The Met also has a recording of the piano on their website. Also if anybody is interested. 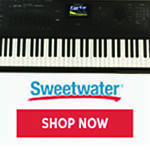 We have a very similar Erard piano for sale in our store. It is almost the same and from the same time. It looks the same but our piano is longer. 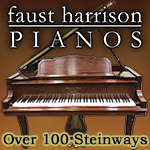 I am wondering of there are more recording to be found made from this Erard. I have looked on the web but not found any more info or recordings. Last edited by Gary at Encore; 05/29/11 10:33 PM. I am one of the happy very few who has been able to play (and will play) grand piano's which were owned by Franz Liszt. Franz Liszt was very fond of Bechstein. On YouTube you can see me playing his Bechstein that is displayed in his former house in the Liszt Museum in Weimar. Please see http://www.youtube.com/watch?v=HuSLq82Pj8A&feature=related )please note that despite the announcement in the movie that this is not the 576 !! In october I will be back in the museum and provide more details about the piano. Here also is displayed his Erard buffet piano. Very recently I made some recordings in Berlin on his real Bechstein 576. These will be published on YouTube as well. 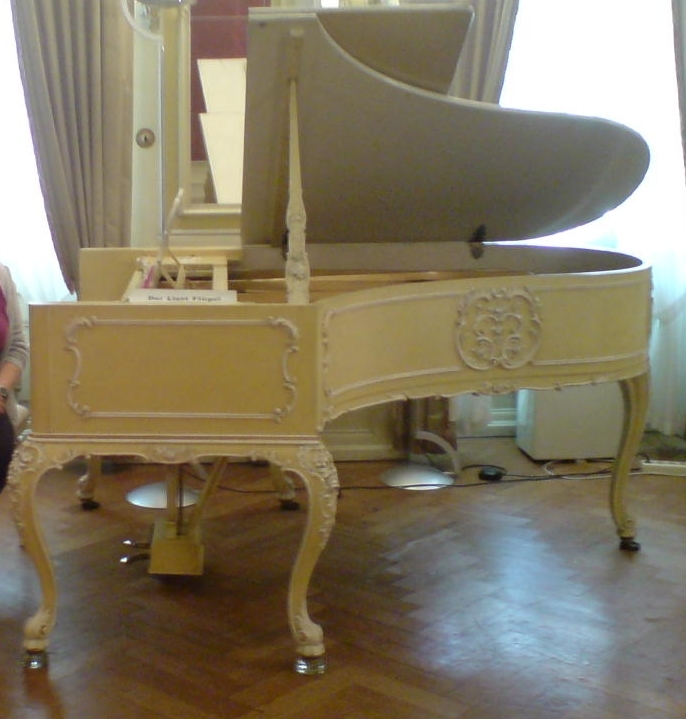 In 2012 I will play his Steinway from 1860 which is now owned by the instituto Liszt in Bologna. In Bayreuth Germany is a Steingraeber and Sons on which I hope to play in 2012 as well. What did I find of the piano's? Very light playing, enhanced bass (the 576 has an enhanced bass belly) This last one was very low. My knees did not fit under the keyboard. Probably the Italian Steinway will be very similar. On wikipedia I also will put pictures of the 576. Last edited by Anna Ivanova; 09/03/11 05:16 PM. Gregor, thanks for posting the pics. It was out at a concert when the PW tour was there. Do you know what year it was made? very nice and very different from the other ones. That Steingraeber was built in 1873. Yes, elegant and different. Did you notice that is has 4 legs? BTW, I also played the Steingraeber No. 1. What a difference. I was surprised that the Liszt piano was somewhat "modernish". I expected just another old piano, but touch and tone was not so ancient like expected, at least compared to the Steingraeber No.1. Eduard Steingraeber used to be the concert tech for Liszt a few month. Liszt composed on his Boisselot piano for about 40 years!! Unless I am seeing double, I even see a 5th leg!!! I saw Liszt's Bechstein on display at the Bechstein Centrum in Berlin during a visit there a few years ago. No, they wouldn't let me play it. I've got a picture of it somewhere. When we visited the Bechstein Zentrum in the Stilwerk in Berlin West in spring 2010 with a group of 40 german piano addicts, we were allowed to play on Liszt's Bechstein grand. ... Marvellous. This grand was IIRC an eight footer built in the 1870ies. Liszt's personal pianos must have covered a wide range. When he was a young man, he very often had two or three grands on stage, as he managed to smash some strings, hammers or other parts of a grand during a concert.. The former viennese pianos were not able to endure his sort of powerful play (wooden under-structure, max. tension sum 5-6 tons), until Ludwig Bosendorfer specificially started to build a grand which was strong enough for (or against?) Liszt's kind of playing. The very first piano which resisted his brute forces was the Bosendorfer concert grand which was an eight footer in these times (ca. 240cm). There was also a change in the metallurgical methods how to produce steel wire for piano strings in 1855: the invention of the Bessemer steel melting procedure - which resulted in much stronger strings which could be put under higher tensions, which then caused several needs to put in "more iron" into a grand to make use of this. This started with some iron clamps over the hammer gap, went further in one to four iron bars connecting and spreading pinblock and hitch plate against the increasing tensions, and ended in the actual one-piece-cast-iron full frame which can stand up to 25 tons of added string tensions. Also the hammer felts changed. When Liszt was young, the hammer cover material often was leather. Later on the hammers changed to felt. Liszt could watch all these changes in piano technology. When he was an old man, he could play on the Steinway concert grand of his son-in-law, Richard Wagner, in Bayreuth, who got an early "Centennial" grand #34xxx in 1877 to celebrate the opening of his opera house. Liszt's house in Weimar was filled with pianos sent to him, like a piano shop. Nearly every room was said to have had in the minimum one piano. I once read a biography of Liszt, and IIRC he avoided to prefer one piano make over another. 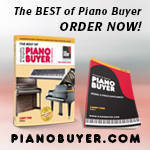 He recommended pianos, but did not recommend exclusively. 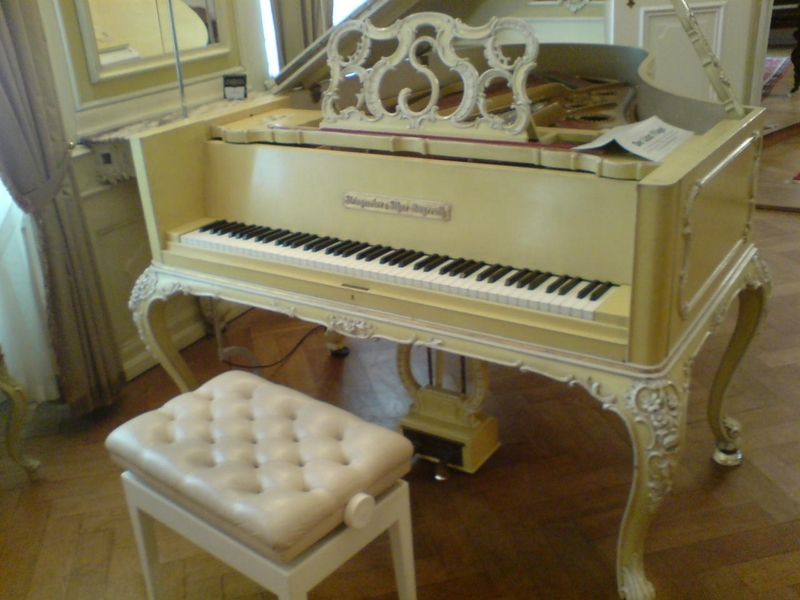 This one, #37826 (rebuilt by us in 2005), is virtually identical to the one that Liszt played. So is #34973, which we rebuilt more recently. It can be seen and played in our new showroom in White Plains, NY - which I will start writing about shortly. HMMM. A PW party where Sara and Frank (and any PWer who wishes to) plays some Liszt on #34973? Something to ponder. Definitely something to ponder. Please find below the links to pictures of this wonderfull instrument, When the recordings which I made on this instrument are available, I will put a number of them on Youtube. The pictures clearly show the extended bass "belly" and the wooden frame. Nevertheless it could be very well tuned. And for such a very old piano the sound was big. You will hear this in the recordings. Wow...that Bechstein 576 is one beautiful piece of machinery. Thank you so much for posting the pictures. Can't wait to hear what it sounded like. Well this is how it sounds. Hope that it does not dissappoint you. And eh ........... the piano is not for sale. Last edited by Anna Ivanova; 10/15/11 03:43 PM. Not the best restoration! But great playing!. Thank you for posting the link. It was amazing hearing someone with such skill on this historic instrument. I must ask, was there something wrong with the piano's sustain on that day? Its harmonics sounded excessively damped throughout the keyboard - or is that to be expected in a piano of this type and age? With this piano one must take in account its age. In fact it was produced just a little after the pianoforte period. If you listen well with a headphone you for example also clearly can hear the pedal mechanics. But it has a wonderfull charm. One thing that amazed me (and also some of the Bechstein people) is the big sound that it already was able to produce. As I said before: would have appreciated some hours more on this instrument. Did you by the way see Kit Anderson's movies? Just a few weeks before my recordings he also played this piano. A few days ago alos Consolation 1 has been added ( http://www.youtube.com/watch?v=i5wbE8eI-ks&feature=mfu_in_order&list=UL ) Think that the piano sounds wonderfull. Hope you did not forget the bicentennial of Franz LISZT´s birthday yesterday October 22th! To commemorate this event, Kit "The Wunderkind" ARMSTRONG brings a serenade to all of you piano world junkies. 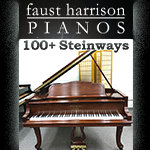 He performs on Franz LISZT´s famous Carl BECHSTEIN grand No. 576 which was delivered to Weimar on March 17th, 1862 (now rebuilt and part of the collection at BECHSTEIN Center, "Stilwerk", Berlin): Franz LISZT, Les Cloches de Genève (The Bells of Geneva): Nocturne. Années de pèlerinage (Years of Pilgrimage). Recently, Anna IVANOVA posted a few great takes performing on this grand, and took some photos, too. One of the pics shows a special feature, a belly-shaped rim of the tail, presumably constructed as a bass-enhancing device. Surprisingly, the earliest known surviving Carl BECHSTEIN grand No. 142, 1859, now part of the collection of the Kent-based Californian piano rebuilder David WINSTON, shows the same weired feature. Hence, the special shape of the rim seems to be a rather common feature of Carl BECHSTEIN´s grands in these days. At one point in his life Liszt was living in a very tiny apartment and played only on a vertical "pianino". From our European Piano Tour this past June.